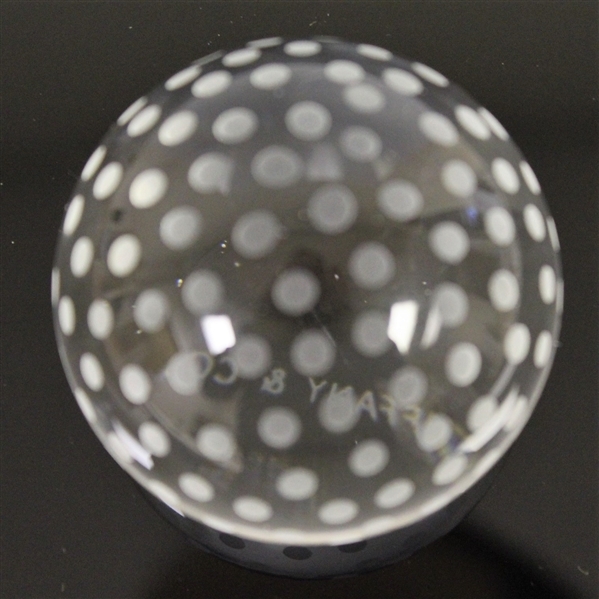 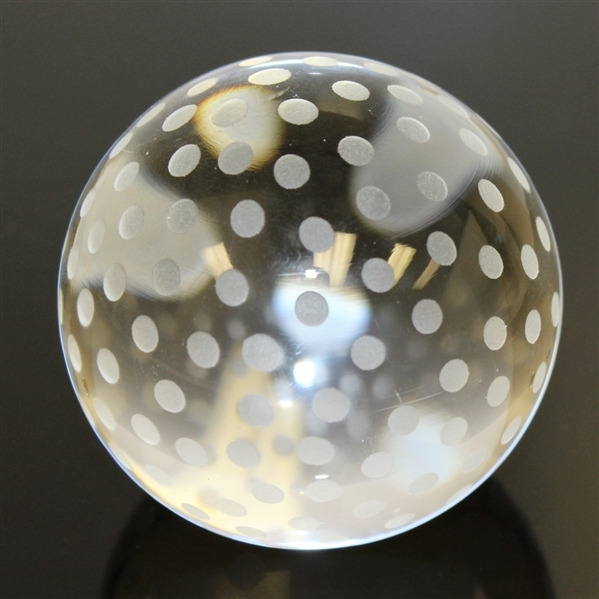 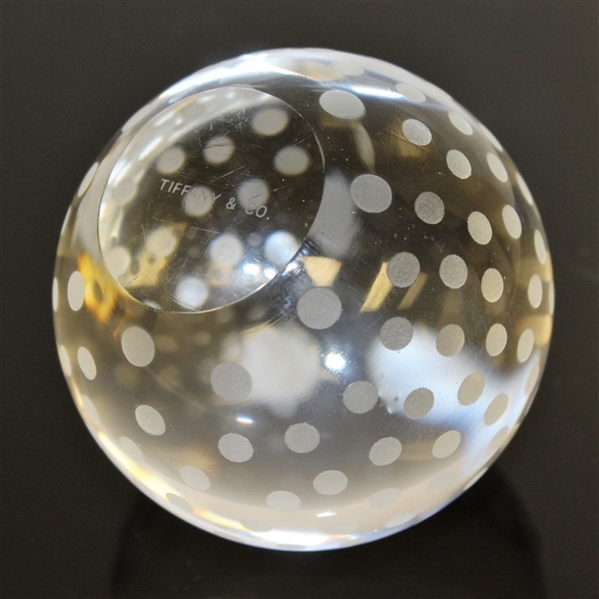 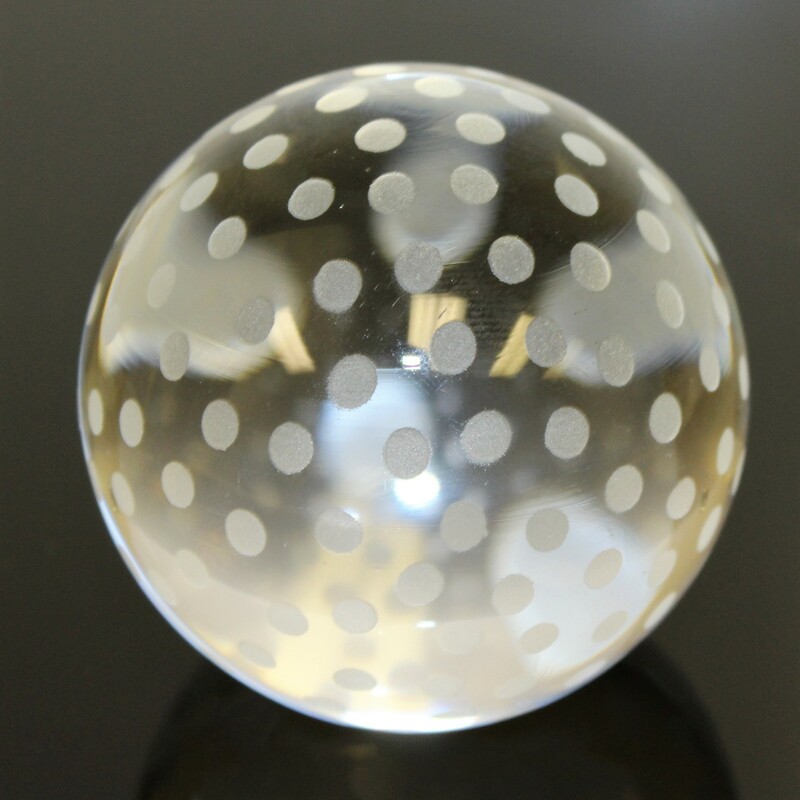 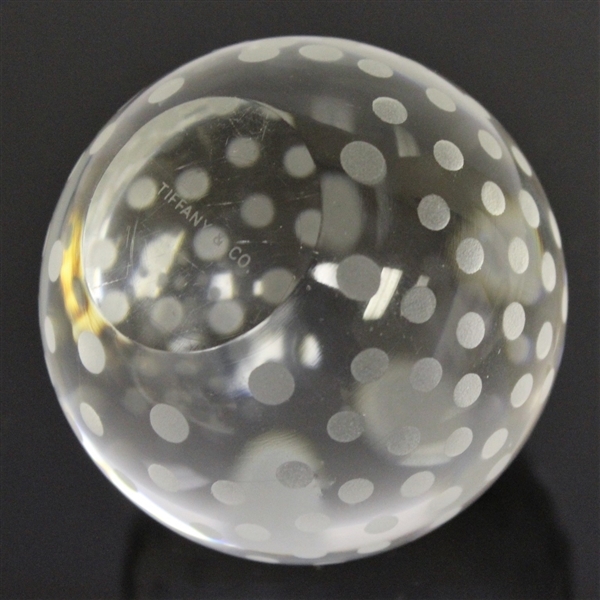 This Tiffany & Co. crystal golf ball paperweight is the perfect accent piece for a golf collectors desk. 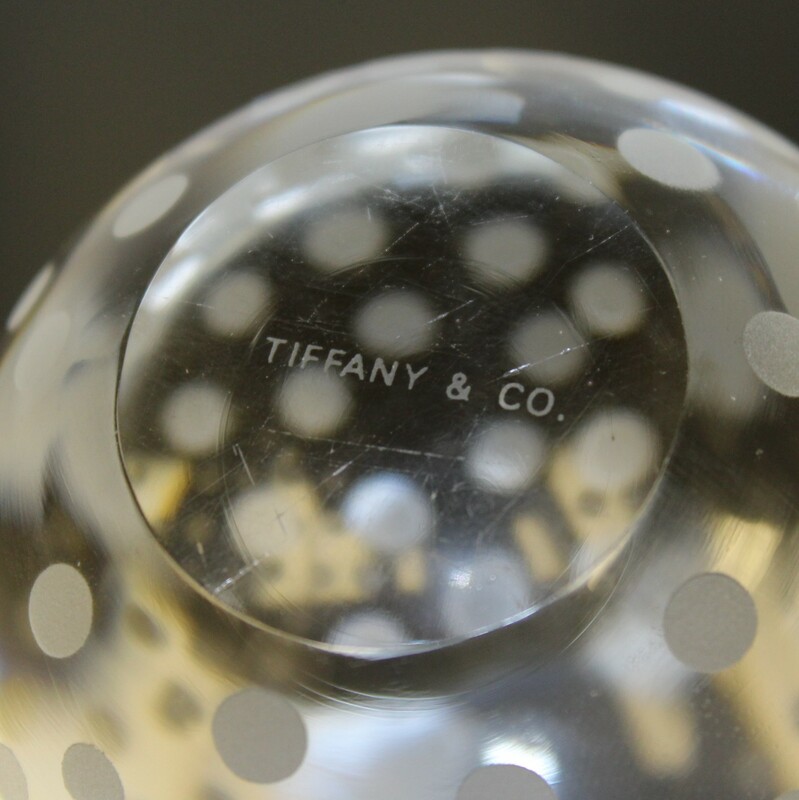 The craftsmanship that Tiffany & Co. is apparent in the appearance of this piece. 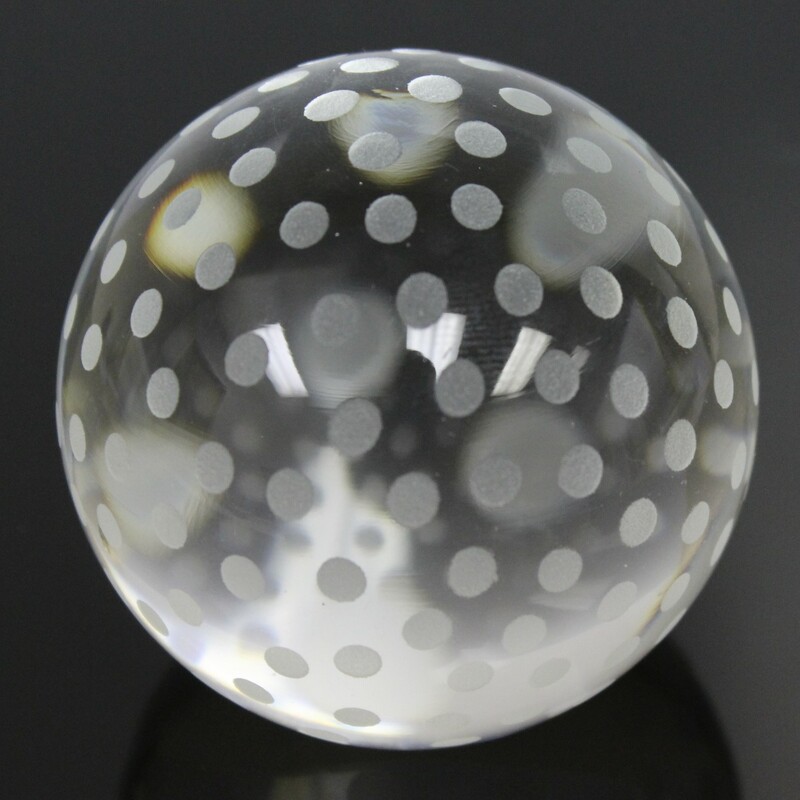 The ball measures 2 1/2" in diameter.